Come admire beautiful tile when WAHA meets at the Pasadena Museum of History’s exhibit, Batchelder: Tilemaker. WAHA has also arranged a tour of the Fenyes Mansion where the museum is housed. For more information about the exhibit , visit the museum’s website here. The 2016 L.A. 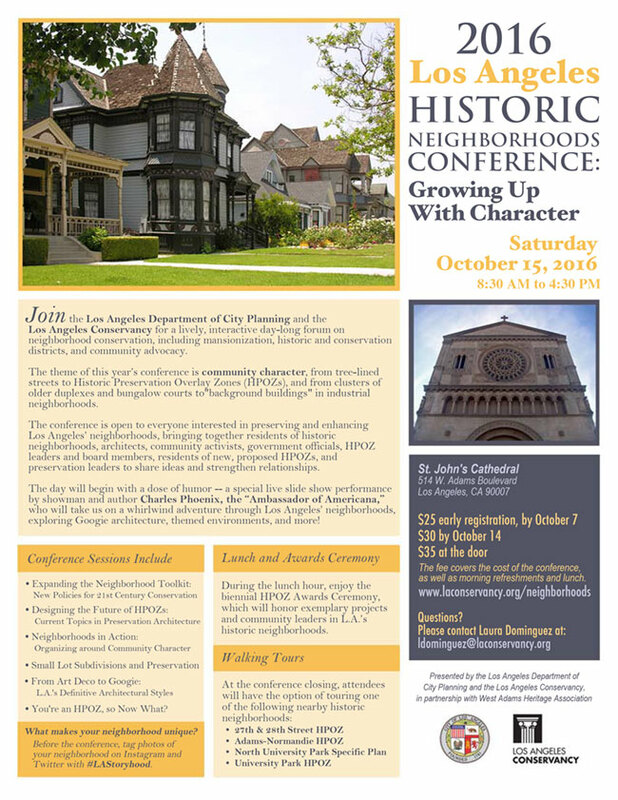 Historic Neighborhoods Conference is Saturday, October 15th. This is a great opportunity to meet residents of other Los Angeles neighborhoods who are also involved in historic preservation and to share knowledge of what?s happening with historic preservation. This is sponsored by the City of Los Angeles Office of Historic Preservation and the Los Angeles Conservancy. To download a PDF of the event flyer, click here. Delectable pizza, made to order! 20% of your purchase will help support WAHA. History Comes Alive at the landmark Angelus Rosedale Cemetery on Saturday, September 24, as we explore the tumultuous journey in this nation toward equal rights for all, regardless of race, gender, or religion. At this year’s Living History Tour, visitors will “meet” historic personages whose life stories reflect the fight for a variety of civil rights, including the right to live wherever one wishes, to vote, to equal treatment, and to obtain social freedom. Actors, in costume and at graveside with set vignettes, will give first-person portrayals of some of the people who are buried here, including a well-known suffragette who gave speeches across the state; a developer who established a resort town nicknamed the “Black Palm Springs;” a Japanese-American whose family was uprooted in 1942 and sent to a relocation camp, along with a lawyer who lobbied against these internments; one of the original elders of the oldest black church in Los Angeles; and one of the original owners of the Dunbar Hotel on Central Avenue. Don your summer whites and join your friends at the fabulous 2016 WAHA Ice Cream Social! Don't miss the opportunity to see the lovely garden at the home of Jeffrey and Patricia Baum. 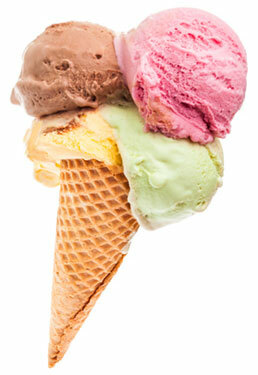 Meet up at our own wonderful Baskin Robbins, 1375 W Adams Boulevard on Wednesday evening, July 13 from 6:30-8:30. Bring the family out to support this local business and visit with neighborhood friends. Baskins Robbins is offering WAHA members a 10% discount on ice cream, (excluding cakes) that evening with this email, the newsletter announcement or your membership card. where there is fun for the whole family. If you are new to WAHA, this is a great way to meet lots of people and it is usually one of our biggest events of the year. Please do stop by before you go off to other festivities. WAHA provides hot dogs, hamburgers and drinks. Bring a potluck side or dessert to share, for at least 10 people. We can always need help with set up and clean up and love volunteers for 1/2 hour shifts on the barbie. 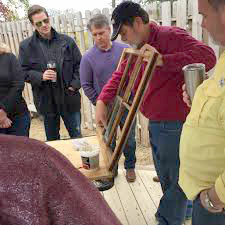 Don’t miss this opportunity to ask these experts questions on all manner of Do It Yourself (DIY) projects. 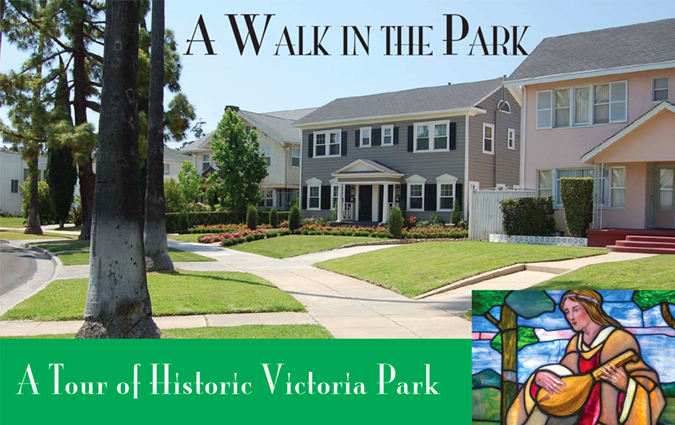 On Saturday, June 4, 2016, from 10:00 AM until 4:00 PM, West Adams Heritage Association will open the doors for a tour of five grand houses in the historic Victoria Park neighborhood (often called “Victoria Circle”). The Curbed Cup 2015 Neighborhood of the Year is West Adams! The West Adams Heritage Association is very pleased to have participated in the effort by Curbed LA to determine this year’s Neighborhood of the Year! WAHA acknowledges that we were but one small cog in this exercise, and recognizes that this “win” is really a reflection of the enthusiasm and interaction of our friends and neighbors throughout the Historic West Adams District.